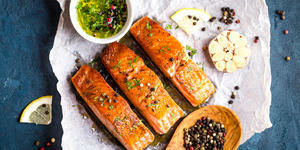 Trying new cuisine and eating great food are highlights of taking a cruise, but travelers with special dietary requirements can find it challenging to eat well away from home. Still, cruise lines are doing a better job of adapting to passenger needs amid an ever-changing culinary landscape. For the best possible experience, these 10 tips can turn any sailing into a gourmet trip tailored around your needs. 1. Alert the cruise line as early as possible. Cruise lines can provide food for vegetarian, vegan, low-/no-fat, low-/no-salt, lactose-intolerant/dairy-free, gluten- or wheat-free (celiac), low-cholesterol, diabetic, kosher and halal diets. They can also address specific allergy needs. As soon as you book, inform the travel agent or cruise line of your dietary needs. Cruise lines have limited supplies, which are only brought onboard in certain ports, so they need to procure special ingredients. Be specific. For example, if you are lactose-intolerant and prefer rice/oat/almond milk to soy milk, tell the line before you cruise. Most lines require 45 to 90 days' advance notice for food requests; contact the line's accessible travel department. Kosher meals, which are often preprepared, must be ordered 90 days in advance. If you're considering bringing your own food onboard, check with the cruise line to see what's allowed. Passengers cannot bring most food items onboard, except nonperishable snacks and food or formula for babies, so be careful not to pack perishable items thinking you can eat them onboard. 2. Contact the dining department on your first day aboard. 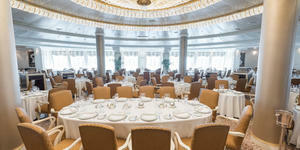 On embarkation day, seek out the restaurant manager or executive chef to confirm they have all the details of your dietary needs flagged in the dining room computer system and stateroom profile. If your needs are complicated, take a printout to give to the kitchen. Be sure to share any concerns over cross-contamination. If there is a certain item you have requested (soy milk or gluten-free bread, for example), ask where it is stored and how you can access it. Make sure you can get your special foods when eating at the buffet or specialty restaurants. Other crew members to alert on day one include the children's activities coordinator, if your child has an allergy or special diet, and the shore excursion department, should you be booked on all-day tours that include a meal. Tell your cabin steward, too, especially if you're in a suite where you might receive afternoon canapes or welcome chocolates. 3. Stay with the same dining room team. Sticking with the same waiter in the main dining room can make your life easier because you don't have to explain your dietary restrictions over again at every meal. If your ship has set-seating dining, choose that option. If you prefer open seating (or that's all your ship offers), ask to sit in the same section of the dining room each night to access the waiter who knows your dietary needs. If you wish to try out other venues, chefs can prepare a meal for you with advance notice or you can preorder from the dining room menu and have it served there. Many cruise lines offer spa-inspired cuisine that uses simpler, healthier recipes, so check the spa cafe or main dining room spa selections to see if those dovetail with your requirements. While many cruise lines designate menu items that are gluten-free, low-calorie, lactose-free, vegetarian or not suitable for certain allergies, the list might not be comprehensive and substitutions might not be available at a moment's notice. Instead, ask to see the following day's menu in advance to discuss choices and adaptations. This will give you plenty of time to inquire about hidden ingredients (such as dairy products in bread or wheat in sauces) and make sure you get a meal you enjoy. If you do love a meal, don't be shy about requesting it again. 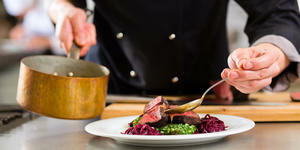 Most kitchens have one chef who is in charge of preparing special meals and can handle requests with advance notice. 5. Be fastidious at the buffet. The buffet is the most treacherous restaurant for cruisers on special diets because ingredients are not always marked and passengers are not careful about mixing utensils or keeping food from falling into the next dish over. 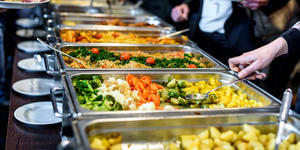 Ask the restaurant manager to accompany you around the buffet stations to identify which dishes are OK to eat. Don't be shy about asking staff to use new gloves or serving utensils. If you're still concerned about cross-contamination, request food that has not been on display. Remember that you can ask to have food prepared a different way if ordering from an omelet or pasta station (prepared with olive oil instead of butter, for example). If you see something you like, don't assume it will be available at every meal. It might be wise to grab a gluten-free muffin or mini-cereal box from the breakfast buffet to enjoy later in the day. 6. Watch out for in-cabin treats. Be wary of turn-down chocolates, canapes, welcome gifts and room service bread baskets. They're probably standardized and not prepared especially for you. Inform your cabin attendant when you board of any dietary restrictions, so he can remove welcome gifts containing nuts, dairy or other ingredients you can't have. If you're booked at a cabin level where you might get afternoon canapes or tea service, be clear about what you can and can't eat. It's OK to simply request that treats not be delivered at all. Room service orders should be addressed to a manager in advance so that dietary concerns are noted. 7. Book a galley tour. Seeing where your food is prepared and cooked can allay your worries. You'll see how scrupulous the galley chefs are about special diets including how food is handled and stored. Although galley tours may be expensive (typically they're part of general behind-the-scenes tours), it might be money well spent for your peace of mind. 8. Prepare for dining ashore. Notify the shore excursions desk early about your needs, so they can contact any restaurants you might visit on tour. If you're exploring on your own, ask about possible places to dine as staff often have a list of potential options or can scour the internet on your behalf (that will save a nice chunk of change if paying for internet onboard). It's wise to research cultural norms in advance. For example, in Spain, many foods are cooked on the same grill or plancha, presenting a cross-contamination problem. You might want to print out a note in the local language explaining your dietary restriction to present at local restaurants. 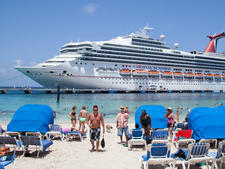 If you plan to carry your own snacks ashore, be sure to check ship and local legislation before you take any food off the ship; fruit and vegetables are sometimes prohibited and subject to a fine. Packaged snacks are safer, but you'll need to bring your own from home. With hundreds or thousands of passengers onboard, you can't assume that everyone everywhere knows your needs. Just because a chef at the buffet cooked correctly for you once, it doesn't mean he'll definitely remember the next time. Always remind wait staff and watch chefs cook lest they automatically add a prohibited ingredient without thinking. Not all cruise lines are created equal when it comes to catering to dietary restrictions. If you do your research, including reading Cruise Critic reviews and comments from past cruisers, you can select the appropriate ship for your needs. 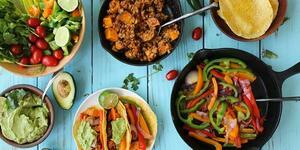 A travel agent knowledgeable about traveling with dietary restrictions can be a good resource and can also direct you to charter sailings like vegan cruises and WW (previously Weight Watchers) cruises with menus that cater to specific food needs. This can go a long way in helping you to better enjoy your next sailing. Bon appetit!